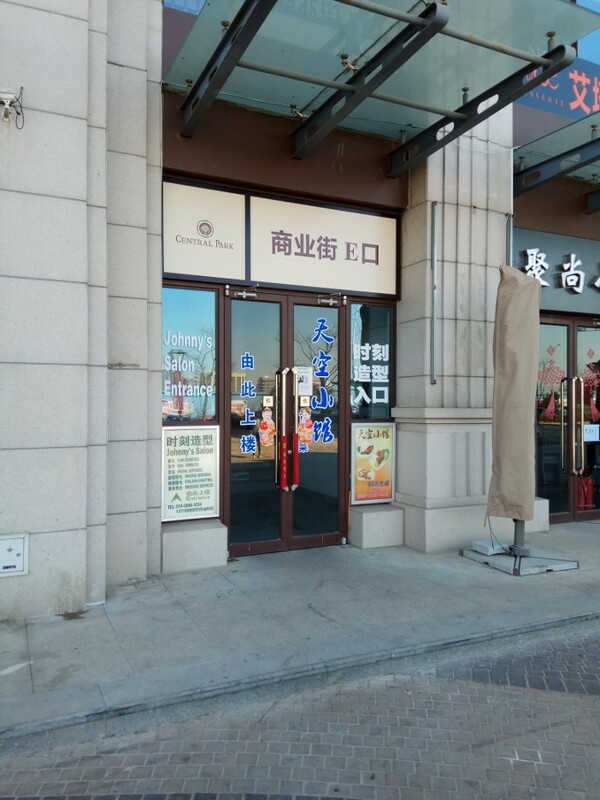 In this new feature, we discover some of the many independent businesses and small providers which make up Shunyi’s lively artisan food scene. The cafe will be opening in May, when the license comes through. But until then you can buy from Balmain Gourmet’s extensive menu of high-quality meat products. Balmain Gourmet also make ham, bacon, burgers, and pulled pork. 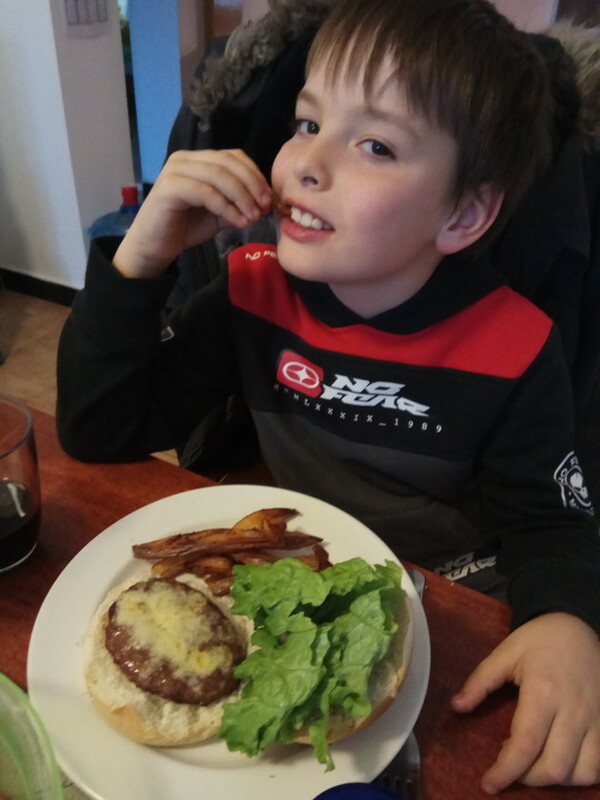 We tried his lamb burgers, topped with grilled cheese and accompanied by British-style chips and salad (and a glass of Merlot for the grown-ups). They were delicious, with balanced hints of mint and chili complementing but not overpowering the delicate flavor of the lamb. 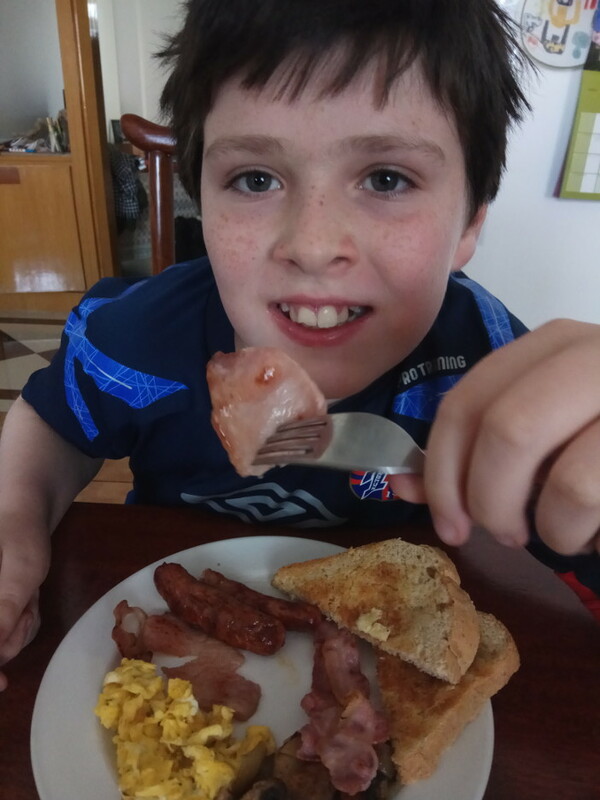 We also sampled his sausages and bacon, as part of a traditional British fried breakfast. The bacon was a stark contrast to our usual supermarket bacon, which is so loaded with water that it shrivels to virtually nothing when cooked. The Balmain Gourmet bacon (both traditional and subtly smoked) was still fat and juicy when transferred from grill to plate. “I’ve not had any better sausages in Beijing,” Noah added. 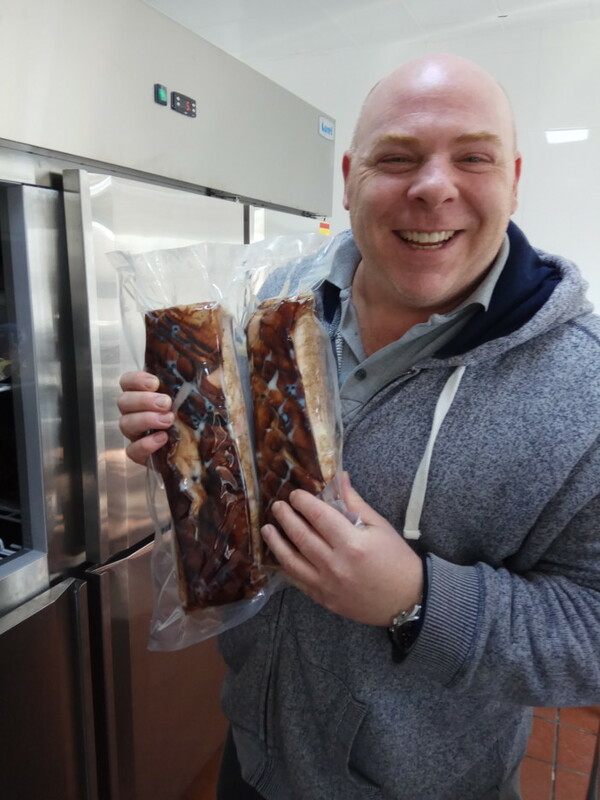 If you’d like to try Balmain Gourmet’s “luscious” meat, you can visit their cafe at Shop 204, Building 8, Central Park, Shunyi, from 10am to 7pm, seven days a week, or find them on WeChat to see their weekly menus (ID BalmainGourmet or search 186 0003 9708).